**Please note that envelope printing is not an option on dark-colored envelopes (verde, noir). 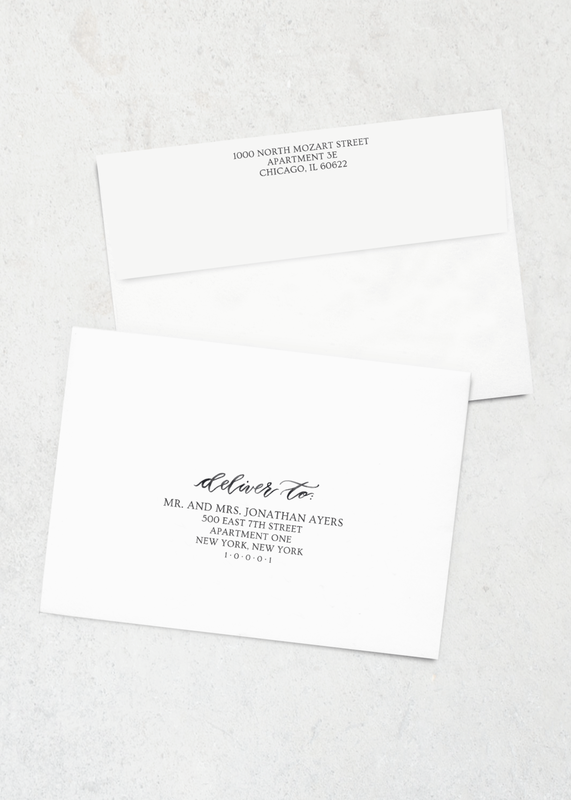 For an additional fee, white ink envelope printing is available upon request. White ink printing also adds an additional 2 weeks turnaround time. Please contact emily@emilyroseink.com for details.